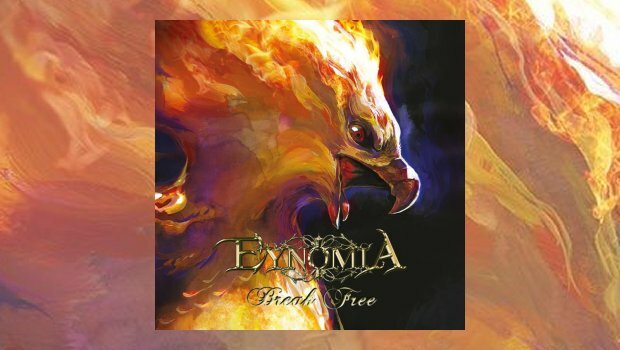 I found Eynomia after completing a review of keyboardist Jimmy Pitts’ other project, The Fractured Dimension. Cleansing opens with beautiful, Dream Theater-like keyboards, reminscent of Images and Words, and even some of Pendragon’s albums like Masquerade Overture. Then, heavy electric guitars, bass and drums take over the stage and build momentum. Phyllis Rutter’s first vocals, “Misery loves company. You’ll never be alone. Wallowing in sorrow. Hatred is your home. Anger is your blanket. It keeps you warm inside. I’ll never understand it, how you sleep at night”. Rutter’s voice is hard to place. It is not that high soprano, which is nice for a change. It is clear and strong, rising above the heavy and powerful music in one of the best songs on the album. Someday Maybe has a drum opening that is very early Dream Theater. The lead electric guitar throughout this album will remind you of both Ayreon and Dream Theater, Rutter’s voice sounding closest to Lita Ford, if anyone. She has an original sound which is natural and easy; no loud screaming, just impactful lyrics and vocals. Thunder drums, bass, and lead guitar mould melodies with the perfect magic of Jimmy Pitts on keyboards. Till We Meet Again is more heavy metal, with Rutter’s voice driving straight through the middle. Pitts interjects keyboard innovations inside the thunder surrounding them. The acoustic guitar work is intense, as is the power of the drums. Later there is even some Ray Manzarek in Pitts’ keys. The title track is full of wonderful string orchestration amidst the heavy metal soundscape with Rutter’s best vocal performance so far. The keyboards are worth the wait near the end. Through Your Eyes opens with beautiful piano and orchestration before Rutter sings, “Through your eyes I see the end of time”. The guitar solo is a perfect addition to this emotionally powerful song. I Can Tell is another powerful heavy metal masterpiece, full of heavy bass, guitar and drums. Rutter sounds more like Lita Ford here than most of the other tracks. Take a Look is another great heavy metal rocker and When is it Over a powerful closer with more metal magic. This was a wonderful surprise to find after hearing Jimmy Pitts instrumental keyboard experience. Good heavy metal with a great singer in the vein of Dream Theater and Ayreon. A very good album I think you’ll like.